How Far Along: 17 weeks, 4 days. 2nd trimester! Sleep: Working on sleeping on my left side...blehhh. Best Moment of the Week: Hearing the heartbeat at this weeks doctor appointment! It was 153 beats/minute! Sure going down in speed (that is totally normal). Movement: If I did I didn't know it was Baby Sloan...hopefully SOON!!! Cannot wait. -Pregnancy Congestion: Help!!! I cannot breathe out of my nose and it is so annoying! I try blowing my nose and it does nothing. Also getting nose bleeds often haha. -Headaches: Off and on...right now kind of feeling like one may be coming on...Reeses Pieces should help right? -Round Ligament Pain: My stomach was having weird pains and I asked my obgyn about it and she said it was probably round ligament pain but obviously to call in if it gets worse. Basically pain from your ligaments and stomach growing. I have it randomly and it is very annoying! -Hunger: I'm all about the food man, food is goood. Gender: April 12 baby is the big day! Less than 3 weeks now! Anything making you queasy or sick: No...well Katinka kind of smells and I do need to give her a bath. I never once thought she smelled before I got pregnant; I actually always thought she smelled great lol. Intense nose powers I tell ya! Wedding ring on or off: On. What I miss: More clothing options. I basically will need to go shopping sometime soon...it is getting hot and guys today it is in the 70s!!! I have always had more winter than summer clothes and most of my summer clothes are more fitted so I will need to get some shorts and capris and some big tops! What I am looking forward to: Finding out the gender! Nursery: I'm just now starting to think about it, there are so many good looking nurseries out there on Pinterest! What style? I have no clue!!! Emotions: I have gotten annoyed easily this week I think...don't mess with me haha! So, whenever I go to the obgyn they have you pee in a cup and then they stick some stick in it and test for something, I don't even know what. Well they tell me pee in a cup and bring it to room 2, and I go pee then realize I'm not peeing in a cup! Good thing I stopped mid-way and had a little for the doctor...that could have been bad! I would have had to been gulping water for awhile! So dumb moment for ya. Also, in the same bathroom time at the doctor my jeggings zipper got stuck. Like stuck down. I tried to zip it up for a few minutes than was like "Eh, whatever, I'll figure it out later." Now let me tell you. These jeggings are way more comfortable than any jeans/pants I have and are super stretchy so they are not too small at all. They are low rise and perfect for being prego so far minus the fact they are a tad short, but can't win em all when you got long legs! So the girl was checking for the baby's heartbeat (your shirt is lifted up obviously) and when she was done she was like "Um your pants are unzipped by the way. Might be time to get some bigger ones" and I was like "I know! It won't go up! I tried for a few minutes in the bathroom! And these are so stretchy, not too small!" And I showed her how much they stretched lol. So that was funny...but I'm surprised she said something kind of (not offended at all) just because like no one who is pregnant zips their pants up until they get maternity jeans (at least that is my guess). OH yes, and I wore my Downeast Basics black t-shirt on backwards yesterday to Physical Therapy. I was doing some exercises on an exercise ball and then realized my shirt seemed to go higher in the front than normal. I glanced and saw the tag printed on it haha. I doubt my physical therapist noticed but that was dumb. 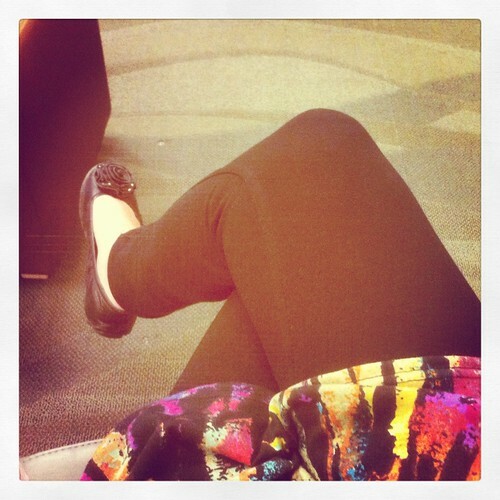 Here is my leg shot (amazing I know) when I was waiting at the doctor and the beloved jeggings. Thank you Nordstrom. What you doing this weekend? But we are excited and by the way Kevin read the book!!! So that will make it way more awesome. how fun! You look so cute! my guess is boy! I really do love these updates every week! 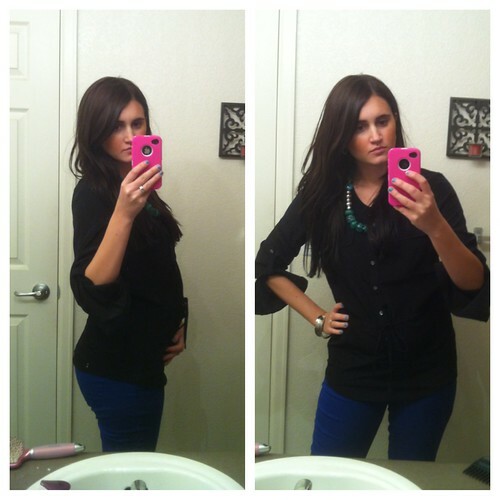 It's so fun to see your cute bump and to hear funny pregnancy stories! :] And WOOOHOOO for Hunger Games!! i have random ligament pain too. it's annoying and it hurts!! Soo cute you'll find out what you're having soon!! you are too cute :) Love these posts! You are the cutest preggo mama! And can't wait to hear what the gender is! Do you think boy or girl?! Hey, if anyone's going to see your zipper down, best that it be your doctor! You are looking so great! Let us know what you think of hunger games! How fun are these updates. It's interesting to read about all the things that happen. Ok. Here is my advice for breathing. Breathe right strips. They're amazing. No joke. They open up those air passages so you can breath. ha, one time I forgot to pee in a cup and I wasn't even preggo! You are too cute!!! whaa? You have the tiniest little baby. I look like that after I eat a burrito. Hey! I'm a new follower. 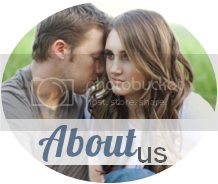 Excited to follow along and learn more about you! I love hearing updates on people’s pregnancies. =) Thanks for sharing.